Every single element of your home is important; from big and heavy items to smaller ones, there is no unimportant piece. Easily neglected, but perhaps the most important, are the simple items you use every single day! 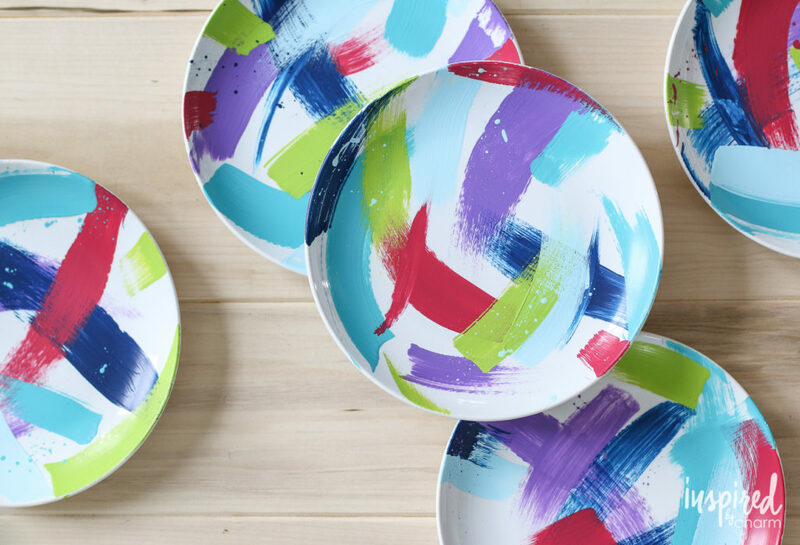 This spring, upgrade your dinnerware and go on a little decoration spree! 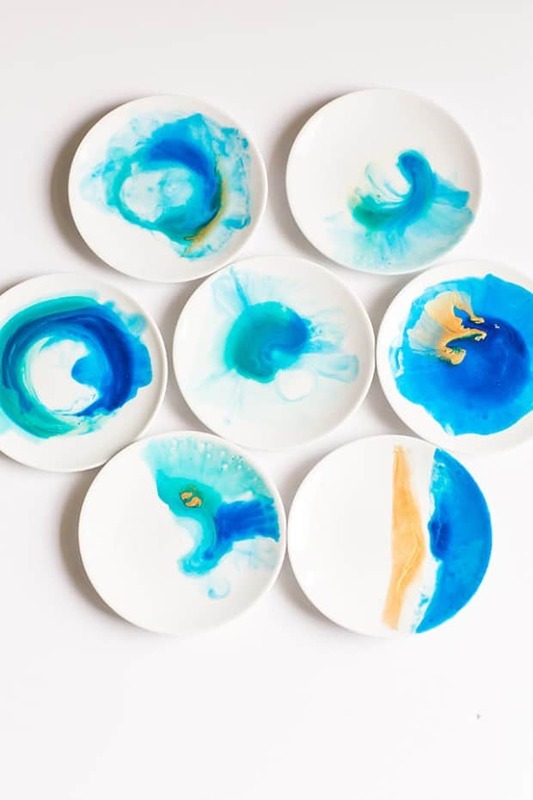 Take out your plain plates and bowls; the time has come to beautify them! 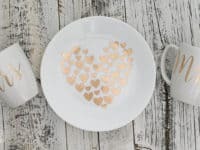 Seek inspiration in these DIY ideas for dinnerware decor! 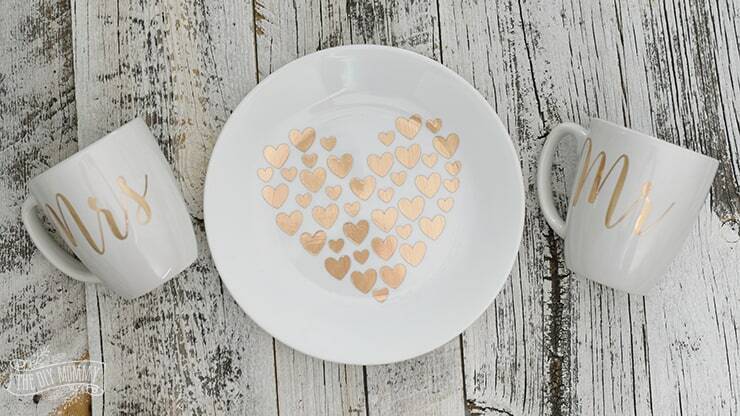 If you enjoy minimalistic plates, there’s no pressure to decorate them over the top! 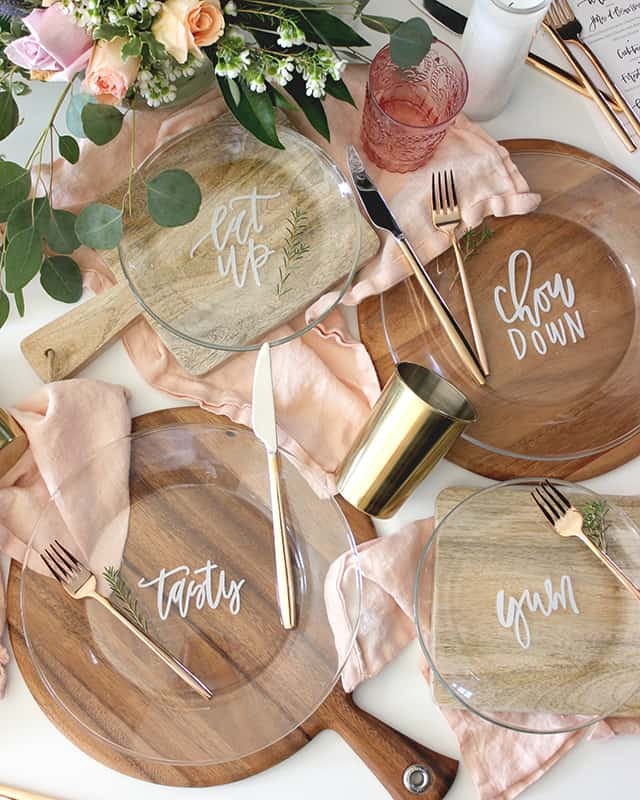 Keep it clean and simple, like these lettered plates by Oh So Beautiful Paper! 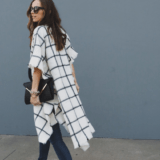 We adore their simplicity and a super chic look that immediately steals one’s heart! 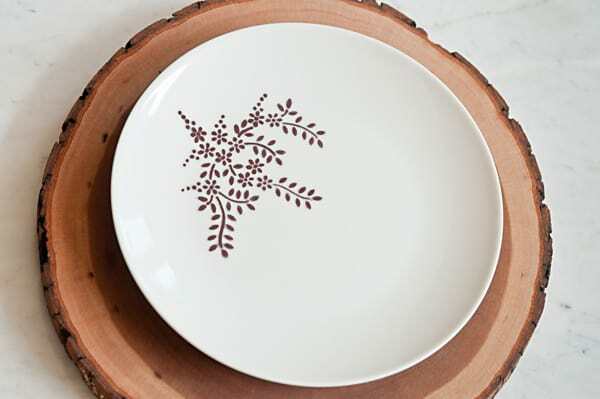 Sharpie decor is one of the easiest ways to decorate your dinnerware. 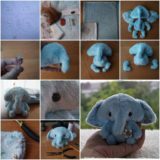 It also offers the most freedom for your ideas and creativity. 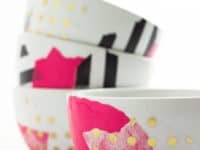 Think of your bowls as blank canvases! 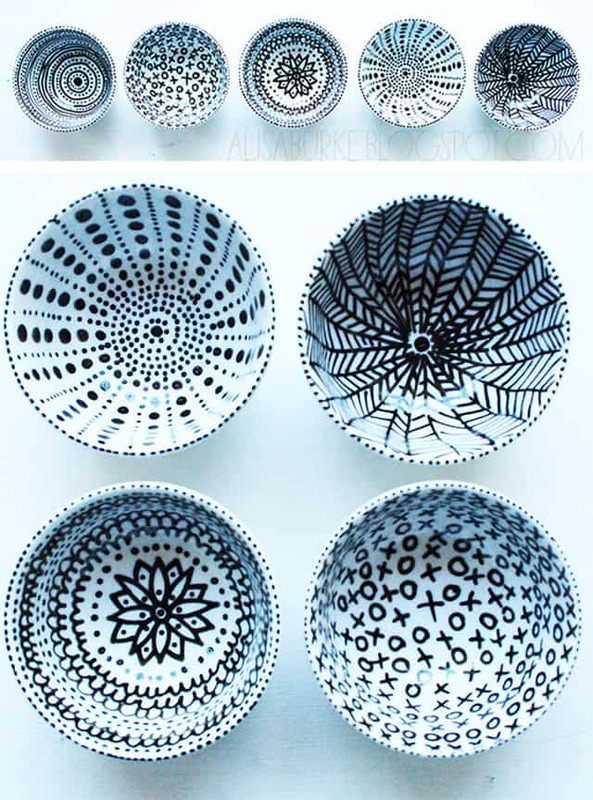 Anything your mind can come up with, put it on the canvas and create a personal collection of sharpie bowls, like the one by Alisa Burke! 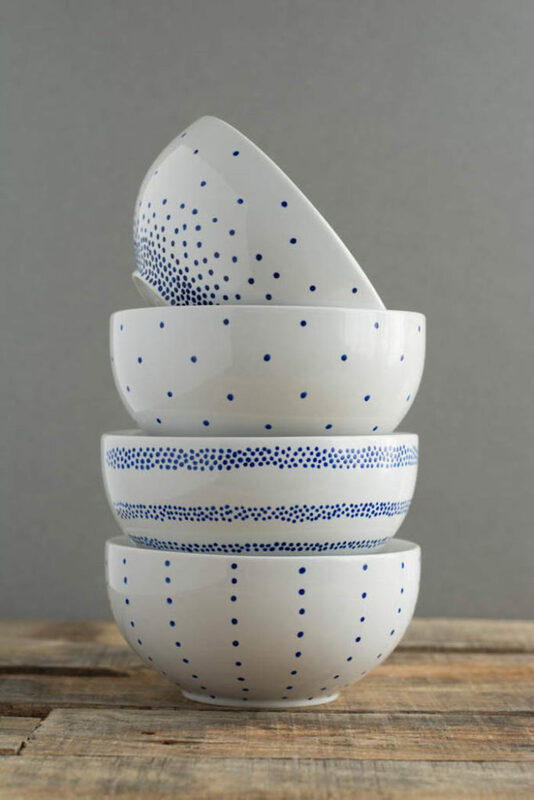 A cute and traditional way to decorate simple cereal bowls must be with blue dots! 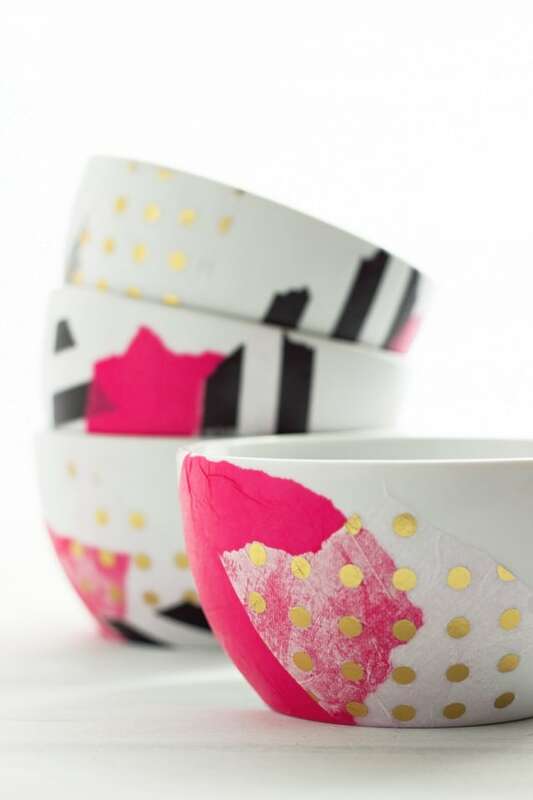 They slightly resemble the classic china bowls! 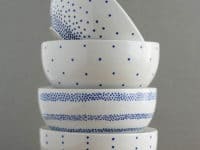 Arrange the dots in any pattern you find soothing and make your very own set of dotted bowls! 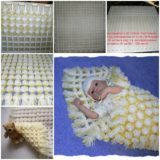 See how it looks at Babble! 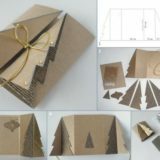 If you have a very particular design in mind and don’t want to free-hand it (let’s face it, some of us have shaky hands! 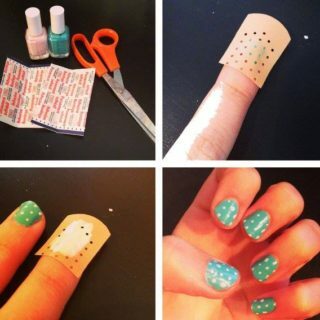 ), you can always use a simple stencil to help you out! 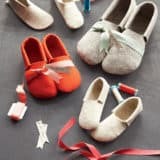 Peek at The Sweetest Occasion to see the whole process! 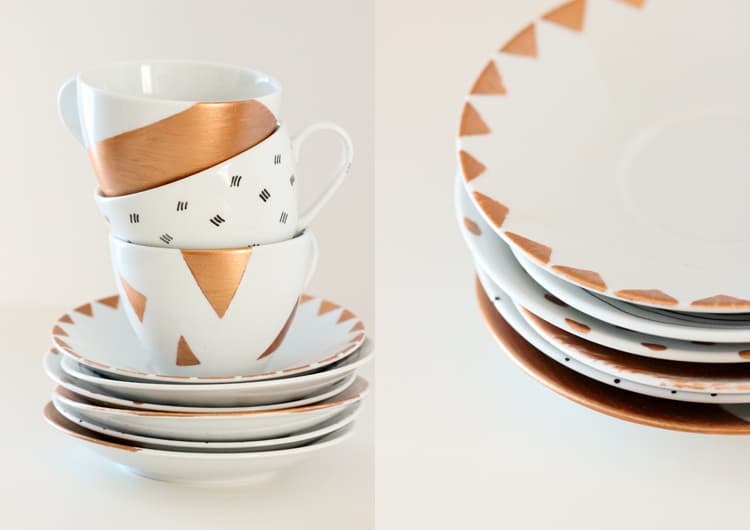 For the people who love to live the glam life even in their daily routines, we can’t imagine anything better than using gold foil to spice up their plain white dinnerware! 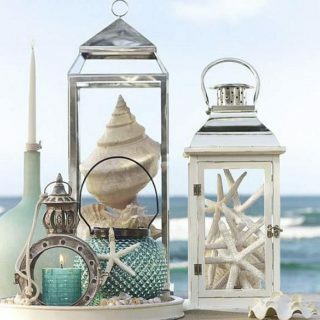 When luxury becomes a lifestyle, you must decorate accordingly! 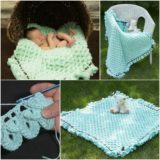 Achieve this dazzling look with the help from The DIY Mommy! 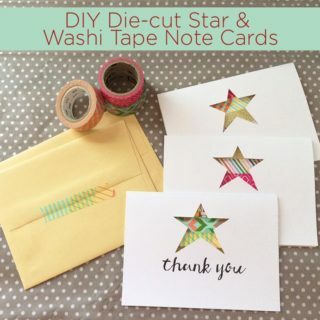 Don’t you love it when a DIY project calls for supplies you already have at home? 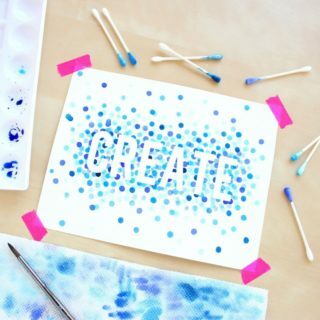 If you can identify as a die-hard crafty person, you surely have mod podge on hand! Pennies for a Fortune will show how you can use it to create exceptionally unique bowls! This color painted dinnerware that we found at Bekleidet doesn’t even look like a DIY project – more like a fancy set you can buy from someone’s Etsy shop! 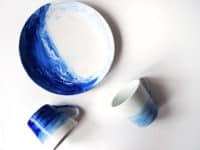 If your home is in need of some really artistic plates and mugs, don’t hesitate to make these! 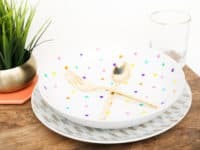 Some homemakers like all of their dinnerware to look the same and others want it to look as diverse as possible! 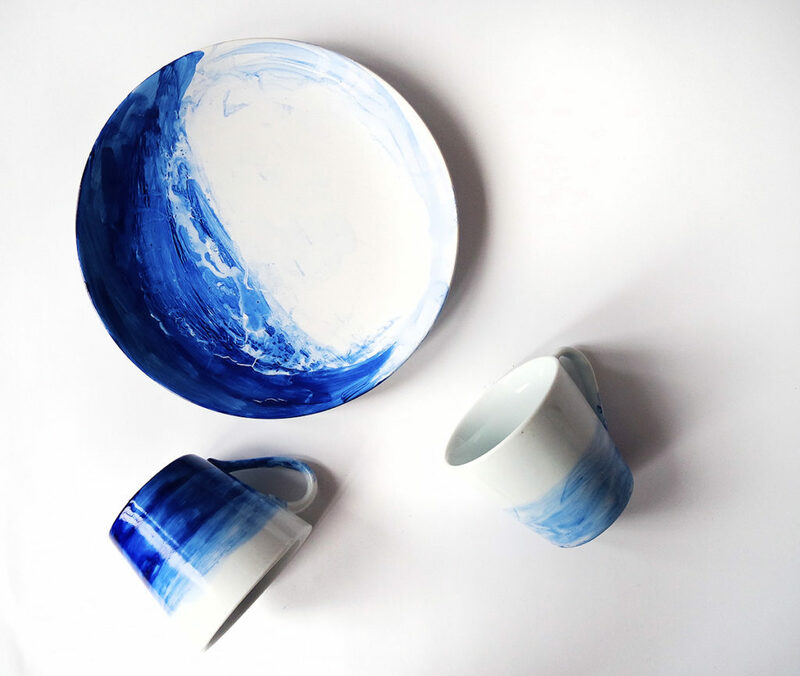 If you are on team diverse, you can soon be the proud owner of a painted porcelain collection that will impress everyone with its variety! 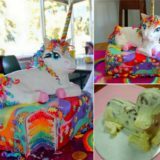 Get some easy tips and tricks from Delia Creates! Since we can’t sustain on art alone, even the most passionate artists have to eat! 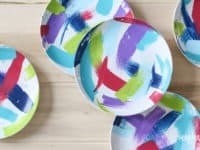 Bring some of your artistic expression right into your dining room and follow Inspired by Charm‘s lead to create a set of brushstroke painted plates that look like a contemporary art piece! Watercolors have a way of mesmerizing us! Maybe it’s their soft look, or the way the colors flow from one shade to another. 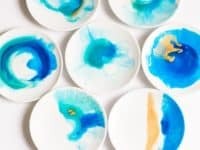 If you can see yourself enjoying your daily meals from plates that have a dreamy look, these watercolor plates will suit you! 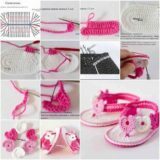 Tutorial can be found at Sugar and Charm! 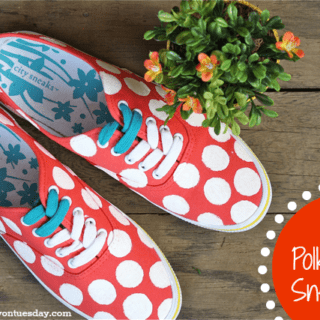 Polka dots; world’s simplest but cutest decoration. Have some dotted fun and make polka dot plates that will soon be holding your favorite food! 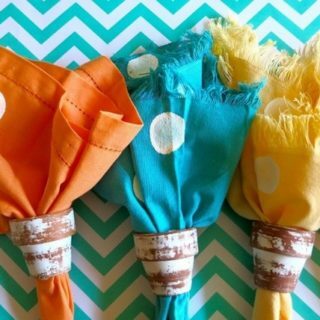 You can also save them just for special occasions, such as birthdays and other celebrations! 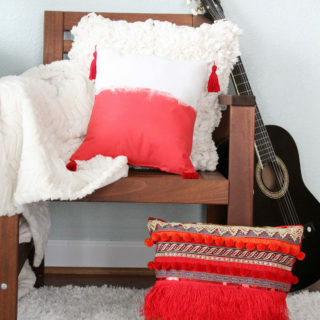 Peek at A Kailo Chic Life to see the how-to! We hear the food tastes better when the plates are fancy! 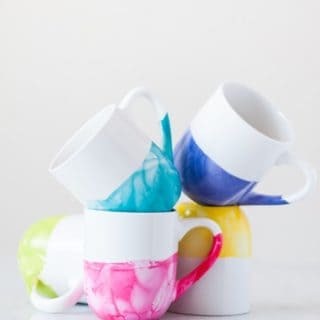 DIY Coffee Mugs for the Perfect Early Morning Sip!